Internet of Things (IoT) has gained tremendous popularity with the recent fast-paced technological advances in embedded programmable electronic and electro-mechanical systems, miniaturization, and their networking ability. IoT is expected to change the way of human activities by extensively networked monitoring, automation, and control. However, widespread application of IoT is associated with numerous challenges on communication and storage requirements, energy sustainability, and security. Also, IoT data traffic as well as the service quality requirements are application-specific. 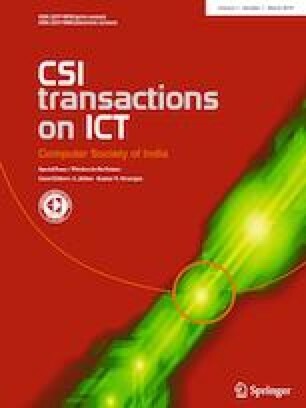 Through a few practical example cases, this article presents IoT data driven unique communication approaches and optimization techniques to reduce the data handling footprint, leading to communication bandwidth, cloud storage, and energy saving, without compromising the service quality. Subsequently, it discusses newer challenges that are needed to be tackled, to make the IoT applications practically viable for their wide-ranging adoption. This work has been partly supported by the Department of Telecommunication, Government of India, under the Grant No. 4-23/5G test bed/2017-NT, for building end to end 5G test-bed.